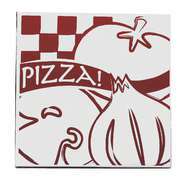 Available in a variety of styles and sizes, pizza boxes are plain white or imprinted with a logo or graphic, usually with a coated kraft interior. 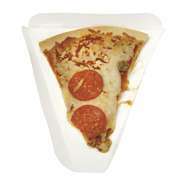 Pizza slice trays are most popular for use in concessions, where the clamshell wedge is usually used in single-slice carryout purposes. 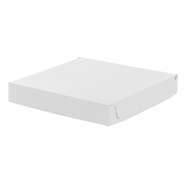 Boxes range from 10" small to 18" large pizzas. 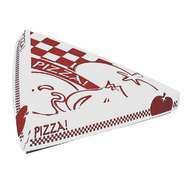 Many operators include a white "pizza saver", a small plastic raised disk, that keeps the pie from sticking to the lid. 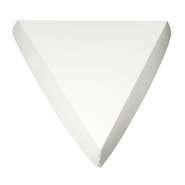 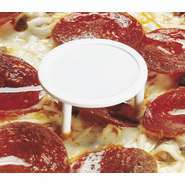 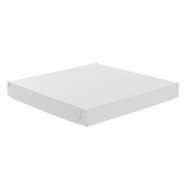 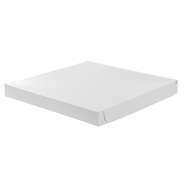 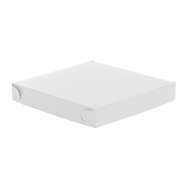 White Plastic Pizza Saver - 1 1/2"Dia.